Nintendo 64 or also widely known as N64 is a 5th Generation Home video game console by Nintendo. The Name N64 came into existence because of the console’s 64-bit CPU. It was initially released in 1996 and was one of the best sellers throughout the globe. As the last major Home video game console, the N64 used cartridges as the main data storage medium. Nintendo 64 has a huge video games library consisting of highly popular titles such as Super Mario 64, Pilotwings 64, and Saikyo Habu Shogi. Most of the best N64 games are still played by the ones having this machine of the year from the glorious past. We’ve compiled a list of best of the best N64 games for you. 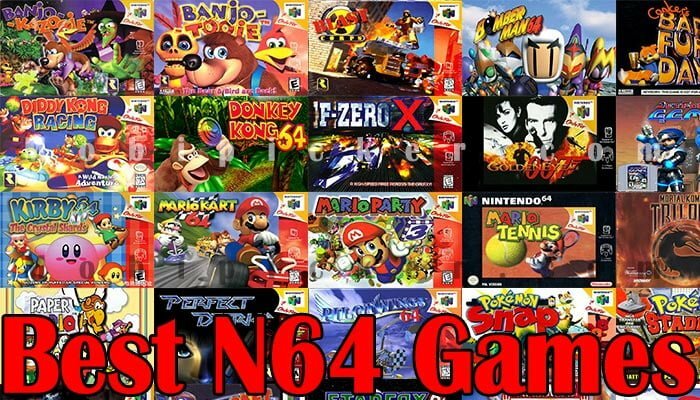 Without further ado, let’s have a look at some of the best N64 games of all time. Hopefully, you’ll agree to the fact that these games are something really special and can’t be replaced with anything in the world. For many N64 players, Super Mario 64 was the very first 3D game they ever played on a console. Based on what the game offered, millions of its copies were sold worldwide and to this day, it’s one of the best Nintendo 64 games with an amazingly interesting and incredibly unique level design. 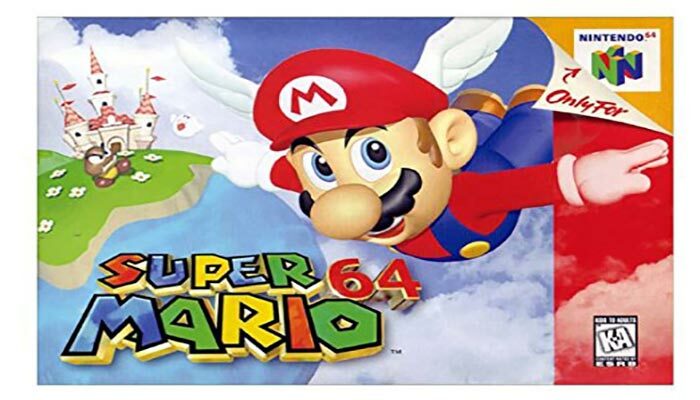 Super Mario 64 was the launch title for Nintendo 64 and it earned it a massive popularity and audience throughout the globe. 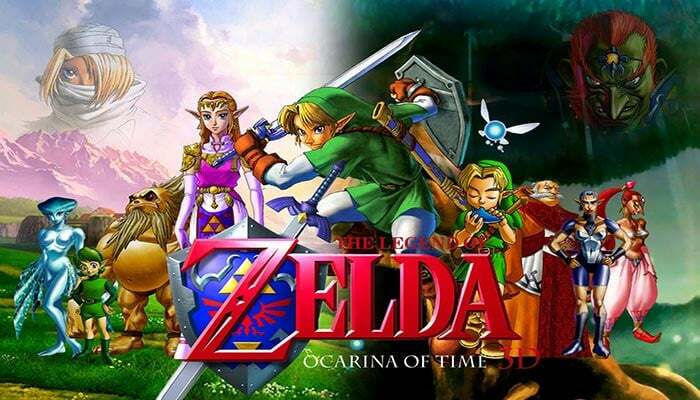 The list of best N64 games will definitely be incomplete without The Legend of Zelda: Ocarina of Time. It’s one of those titles in the Legend of Zelda series that stood out as a perfect Action-Adventure marvel of the time. With all the incredible level design, quality gameplay, iconic soundtrack and all the fun puzzles, it is a massively entertaining title to date. 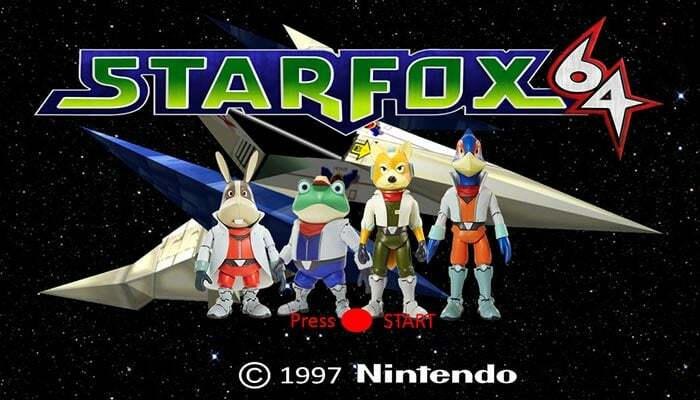 StarFox 64 was indeed a short game but from the start to finish, what actually kept the players busy in it was the amount of the shortcuts and secrets that the game threw at them. This was actually what made the players play it again and again, as it was never ever boring to be part of an amazing 3D scrolling shooter and aircraft combat marvel. Super Smash Bros. paved the way for all the modern day fighting games. It actually set the rules for the fighting titles to come and that is why it’s unique in every sense. 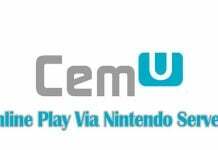 Though it moves a bit slow as compared to the most recent Wii U version of Super Smash Bros, but it was a major game changer when it came out. 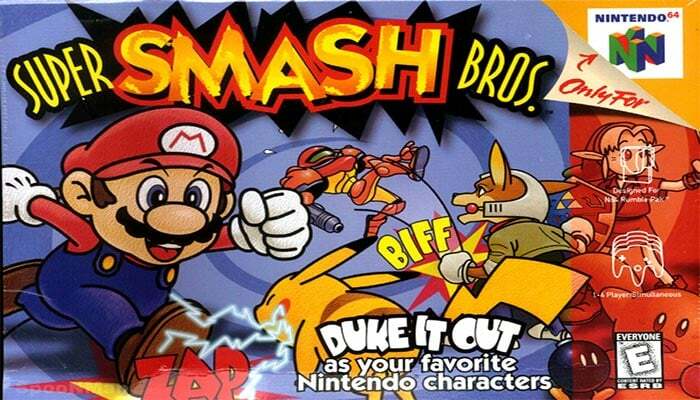 Just like most of the best N64 games, it featured characters from various Nintendo franchises and it was fun to watch all of them pitched against each other in a beautiful brawler. 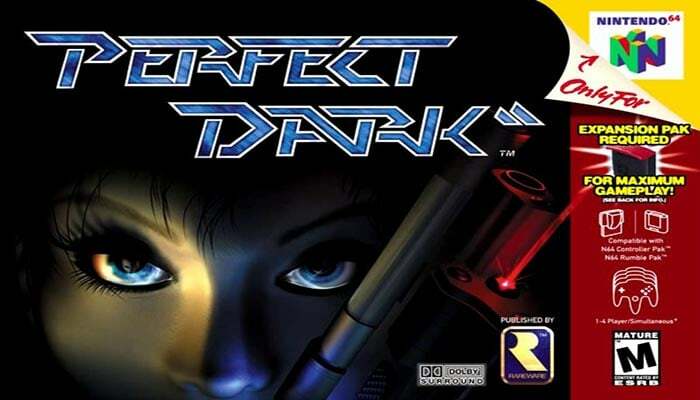 One of the most amazing and mature-rated First-person Shooter game to ever become available on N64 was none other than the Perfect Dark. The unique Sci-fi look and feel of the game made it one of the best Nintendo 64 games to ever release on it. As compared to the Golden Eye 007, Perfect Dark boasted a robust Multiplayer mode and a stellar main campaign. It was a remarkable game to play. Any of Nintendo consoles seems incomplete without a Banjo Kazooie series game. Well, on Nintendo 64, the ultimate Banjo Kazooie, the very first game of the series, made the fans go nuts tbh. 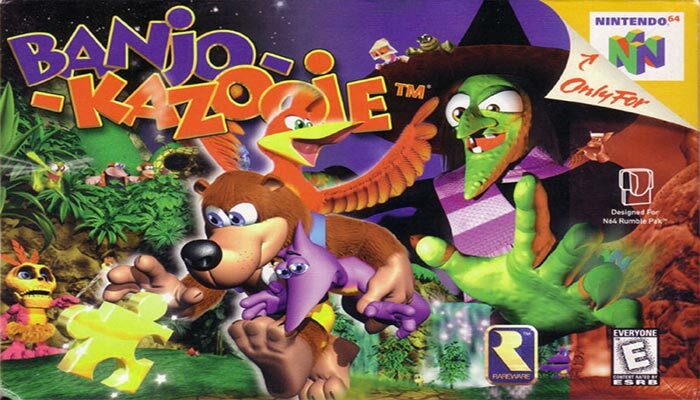 As a massively trending 3D platformer, Banjo Kazooie ranked up with the top-notch titles of the time. As one of the best N64 games, it’ll always be praised for unique level design and plenty of room for the gameplay. If you have to see a perfectly balanced and emotionally engaging title, Mario Kart 64 will definitely come to your mind. It was a beautiful combination of Joy and Rage put together in an astounding manner. With its challenging levels, epic races and especially the amazing vehicles, and physics behind them, it was one of the greatest and the best N64 games. You’ll definitely relate to the fact if you’ve also broken some controllers while playing this amazing game. Who doesn’t like the beautiful pink and squishy Kirby? He doesn’t look so tough but in Kirby 64: The Crystal Shards this amazing video game character is all about tough and ambitious adventures. 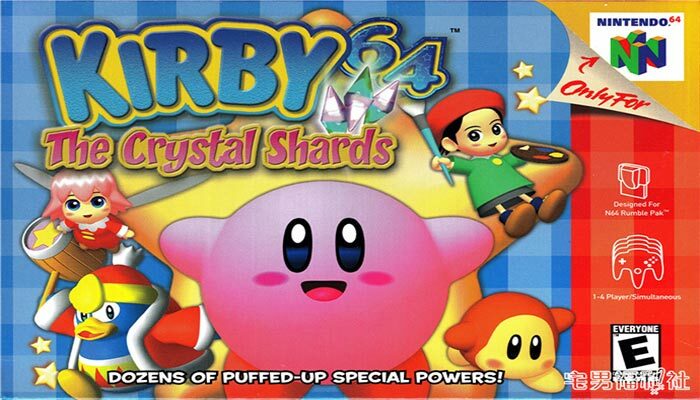 Kirby 64: The Crystal Shards was one of the best N64 games to ever release on it. It was a challenging platformer with all the exciting levels and beautiful characters. It’ll remain a best N64 game forever. 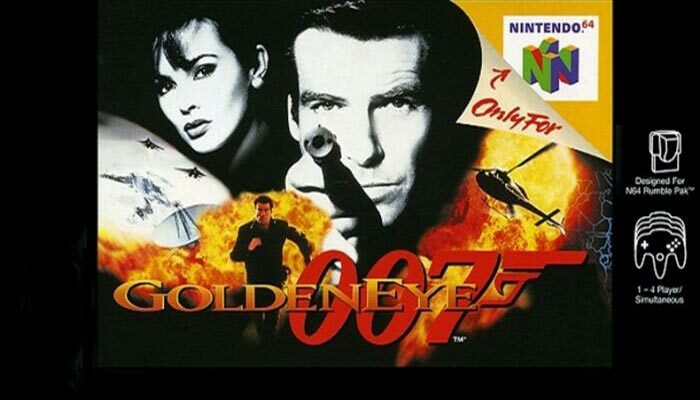 GoldenEye 007 is one of the very first games to strike the N64. Released back in 1997, it was one of the most played First-person shooter games globally. Though it’s a little bit out of standards compared to the modern day FPS title, it is challenging and exciting at the same time. To most of the N64 fans, this game was actually the trendsetter for Competitive First-person shooter games. It’s indeed one of the best games on N64 till date. All the games in F-Zero series remained part of many consoles for many years. No matter its, GameCube, SNES, Nintendo Wii, or N64, this whole series has served the racing games fans really well. F-Zero X was part of the F-Zero series and this remarkable game was specifically designed and developed for Nintendo 64 console. It’s a remarkable combination of futuristic racing and adrenaline pumping levels, fast-paced gameplay and invigorating background music. 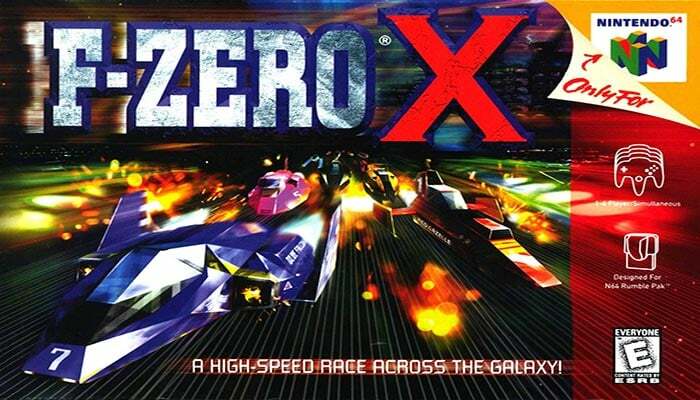 As one of the best N64 games, F-Zero X will always live in the hearts of N64 fans. 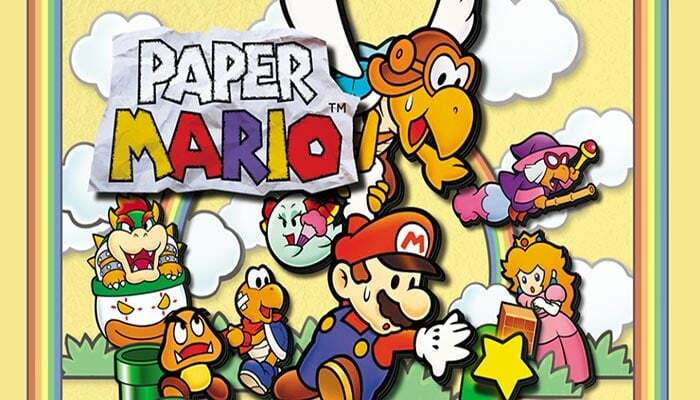 Mario games are all undoubtedly so entertaining and satisfying, but Paper Mario was something else. When it released back in 2001, many Mario franchise fans thought Nintendo has totally gone insane as this game was a flat paper themed RPG. But the level of creativity, intoxicating humor, all the amazing quirk, and level design proved all the critics wrong. This game turned out to be one of the most liked and well-received titles to ever strike the home video game consoles. It more than delivered on its very weird promise and that is why it’s one of the best N64 games as well. 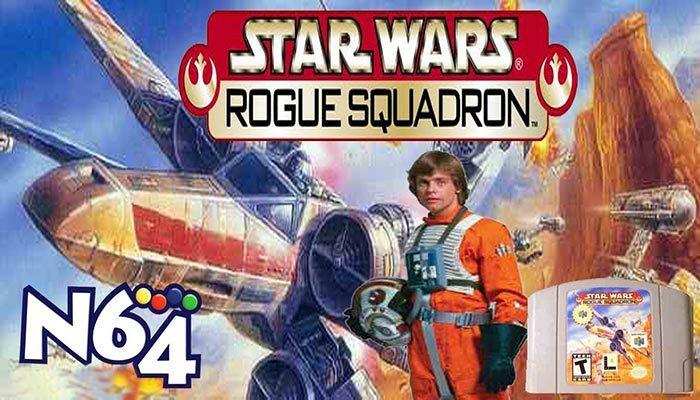 Star Wars: Rogue Squadron is one of the pioneers of Arcade gaming. After its release in 1998, it instantly became a hit and was termed as a game of the year. Co-developed by top-notch devs, Lucas Art and Factor-5, it was the very first game in the Rogue Squadron series. So, in essence, it’s not just a great Star Wars franchise game, but an astoundingly amazing ship and combat marvel as well. If you’ve played this game, you’ll know for sure, it’s one of the best N64 games of all time. Another one of the best N64 games that changed the way fans looked at sports games. 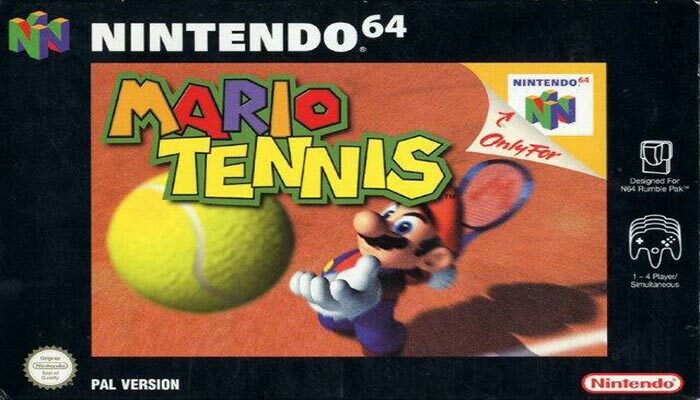 Mario Tennis was a very first of its kind Competitive Multiplayer sports game that set the standards for many of the sports games that came after it. In a sense, it changed the whole sports games genre. It not only provided with the entertainment but also taught millions to learn the bizarre tennis terminologies as well. Pokémon Snap was the most enigmatic and strange video game to ever release on Nintendo 64. 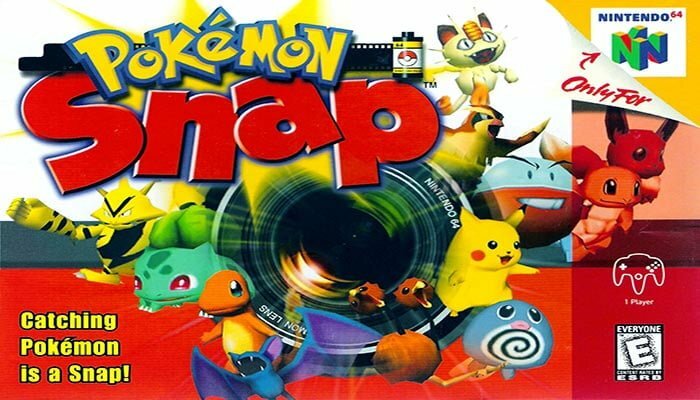 Unlike any other Pokemon game where the players emphasize on capturing, training, and battling the little pocket monsters, Pokémon Snap would just let you tame the pocket monsters and click some cool snaps with them before beginning your journey into the Pokémon world. This was absolutely an easy but entertaining game to play. 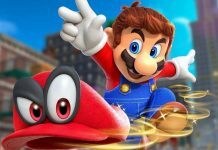 Mario games have undoubtedly overwhelmed all the fans on almost all of the known video game consoles. 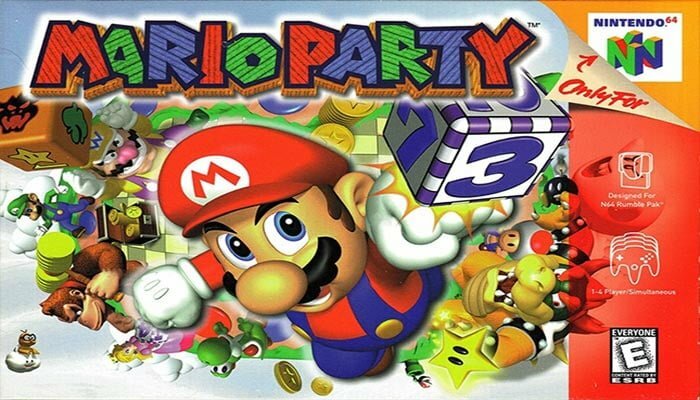 The Mario Party is one of the best Nintendo 64 games packed with amazingly frantic 4-player fun. It’s a single-player and multiplayer Party video game that looks more like a traditional board game. Packed with over 50 mini-games, it’s all about rolling the dice and enjoying it with friends. Mario Party is indeed one of the greatest games on N64. 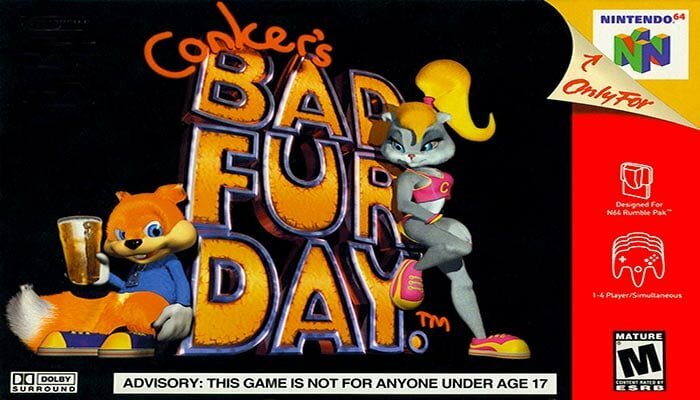 Conker’s Bad Fur Day is one of the most charming Action-platform game to be on Nintendo 64. You’ll agree to the fact that this game looks a lot like Banjo Kazooie, but it is actually way different. Conker’s gnarly hangover and especially his poop jokes made this game fun. To some parents, it might have struck as not suitable for kids back when it was released, but it was their favorite. To be honest, with all of its juvenile characters, and amazing gameplay, it was one of the best N64 games. Pokemon series games are dubbed as the trendsetters on most of the gaming consoles. 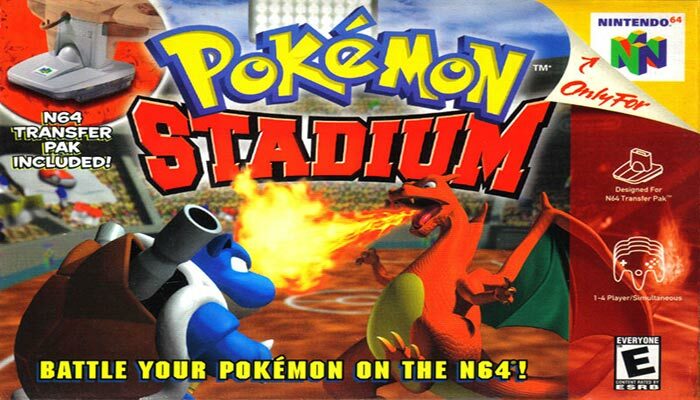 The Nintendo 64 is no exception as the Pokémon Stadium is yet another classic Strategy game that set the rules for games to come in the following years. It had a fun battle mode where players could enjoy pitching Pokémon against each other in many exciting multiplayer mini-games. So, this was an absolutely necessary title if you had an N64 back in the day. Third-person Shooter games genre has an awesome line-up on the Nintendo 64. 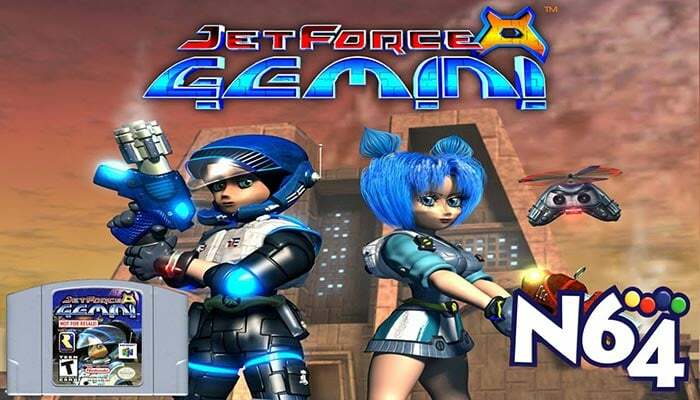 One of the most played and well-liked Third-person Shooter titles that stunned the N64 audience was Jet Force Gemini. With a really impressive Sci-Fi gameplay, all the fantastic characters and bullet blazing drama, it was one of the best N64 games to have. Most of the N64 owners still enjoy this game. 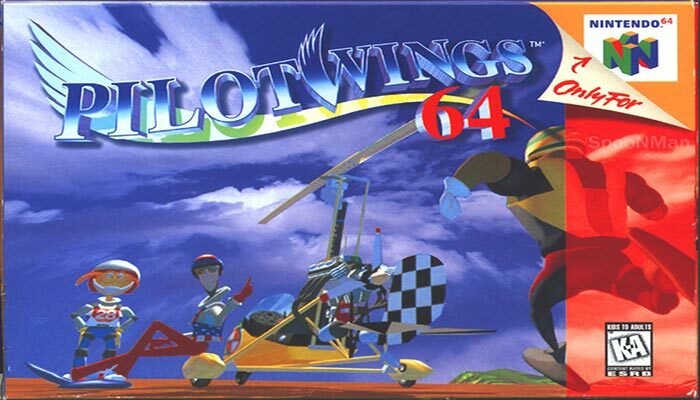 Pilot Wings 64 is a very well designed and equally impressive N64 exclusive title. It’s a robust and re-defined 3D flight Simulator with tons of exciting content. Packed with all kinds of futuristic flying vehicles including hang-glider, jetpack, and various fighter jets, it was fun to dive in this cool flight simulator. 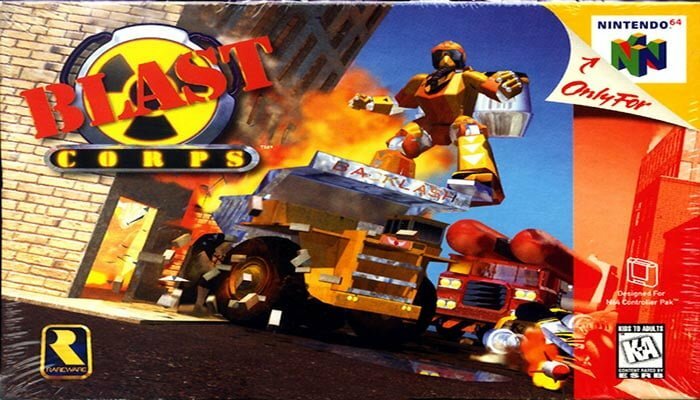 In the list of best N64 games, not mentioning the Blast Corps would certainly be an utter injustice. It’s a classic to land on the N64 and is tagged as one of the best N64 games of 90’s. Back in the day, it allowed the fans to have a marvelous Action and puzzle experience where they could control a wide variety of different vehicles and crash them into buildings and wreak havoc on the city structures. The soundtrack might have been a little silly to some fans, but overall, this game was fun to play. Super Bomberman was a sensation when it released back in 1993. 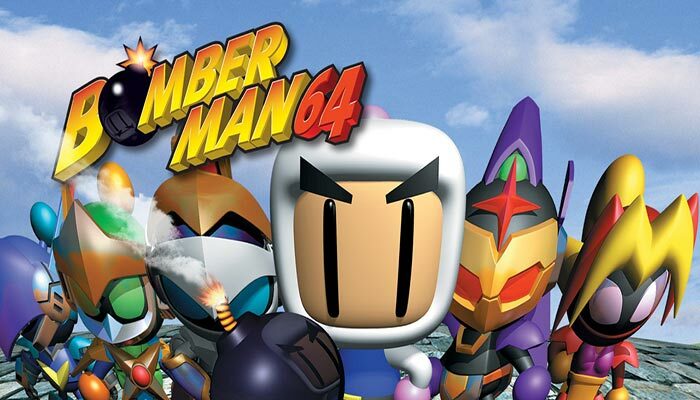 It was the first game of Bomberman series until Bomberman 64 made its way to the N64 home video game console. In Super Bomberman, players were able to enjoy four-player multiplayer with a multi-tap and two extra controllers. However, the Bomberman 64 changed the way fans looked at the Bomberman series games. Unlike other Bomberman games, in Bomberman 64 players could easily pick up, kick, pump-up and throw bombs as the liked. This feature alone made it one of the best N64 games for the masses. Mortal Kombat Trilogy is probably one of the biggest games in the history of Mortal Kombat series. 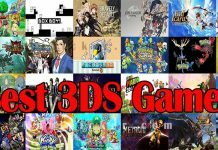 The game offered every character, from all the previous and games and included in a number of new ones as well. 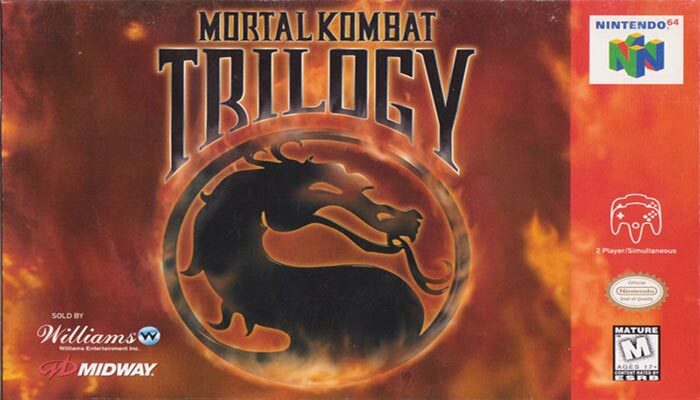 Multiple secret characters, bosses, and classic characters were also part of the MK Trilogy. In addition, the game introduced a myriad of new moves and combinations. As part of the best N64 games, Mortal Kombat Trilogy will always be praised for its unique and fulfilling gameplay experience. 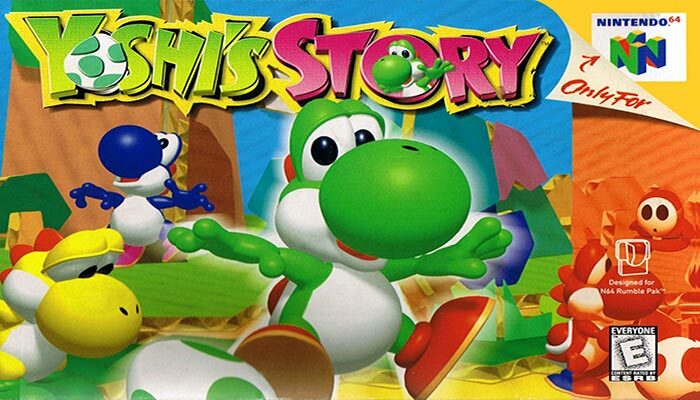 Yoshi’s Story is a lot similar to Yoshi’s Island and offers a way more enhanced and rewarding experience. Though you don’t see a lot of Mario in it. 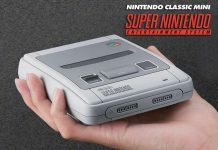 The game was quite short and easy as compared to Mario games and Yoshi’s Island, but it was enough entertaining to keep players bound to the console for hours. With all the amazing quests, Six Yoshis and the arch-enemy Bowser, this game was a true piece of art. 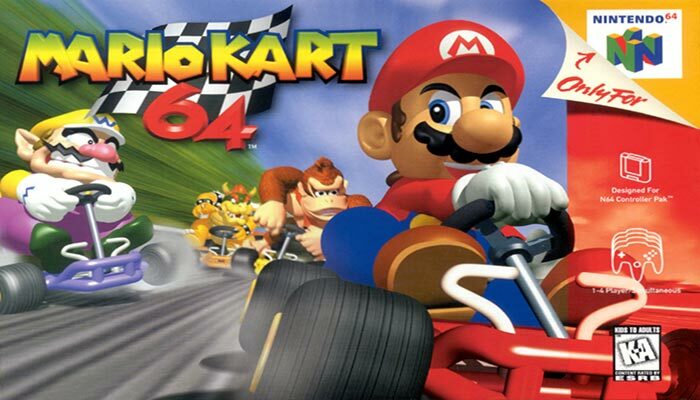 It was no doubt one of the best Nintendo 64 games to play back in the day. To be honest, Diddy Kong Racing offered way more variations than the Mario Kart. 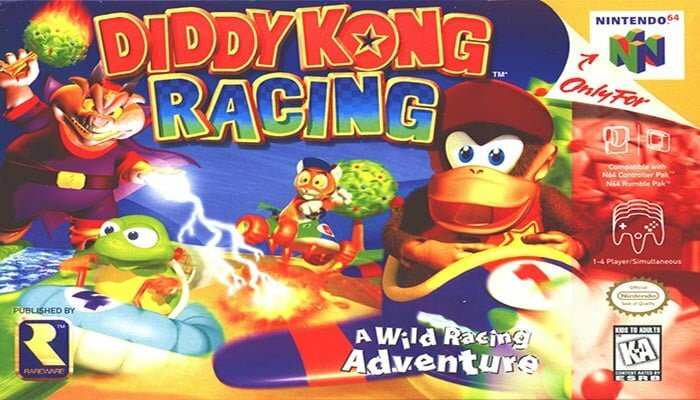 With all the handcrafted visuals, amazingly involving game level and their design, weird obstacles, and all the beautiful characters, Diddy Kong Racing became an instant success shortly before releasing back in 1997. Players could enjoy racing in hovercrafts, airplanes, and other cart vehicles to enjoy the game. An actual storyline, beautiful graphics, and amazing scenarios, Diddy Kong Racing was a great N64 game. 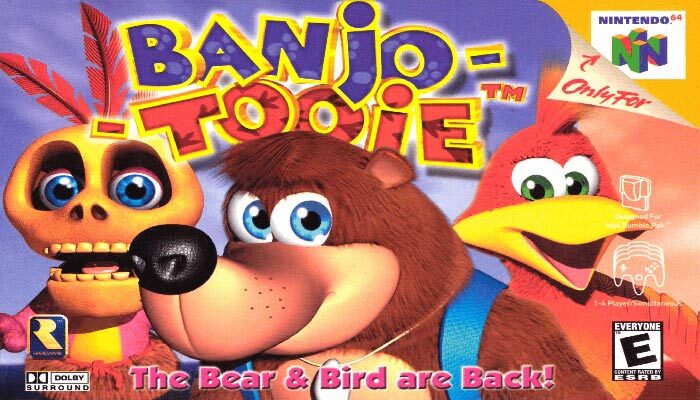 Banjo-Tooie used to be a cult classic as this game never ever disappointed the fans. Instead of re-learning everything, the game starts where the last game ended and that made it way more popular compared to its predecessors. With a sheer amount of fantastic collectibles, dialogue, and beautiful art design, Banjo-Tooie broke a lot of records. Without a doubt, Banjo-Tooie was a nostalgic, and warm title that entertained all the fans really well. Donkey Kong 64 was so much fun because it offered the character of King Kong Rool in a totally new and exciting manner. 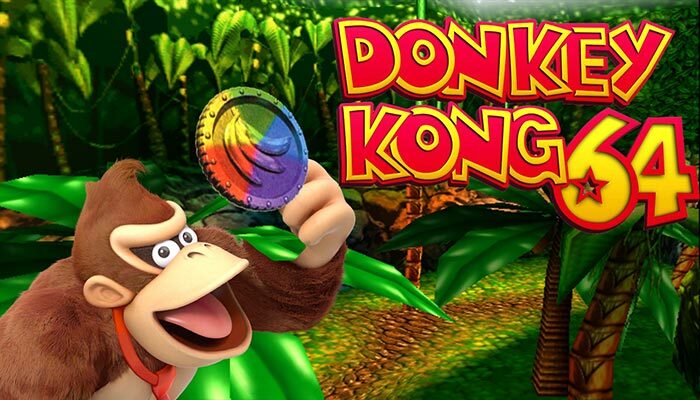 With a very simple yet exciting narrative and the central idea, Donkey Kong 64 was a great addition to the N64 games library. All the guns that the funky kong blazed at enemies and the amazing DK Rap were both the most exhilarating things in the game. 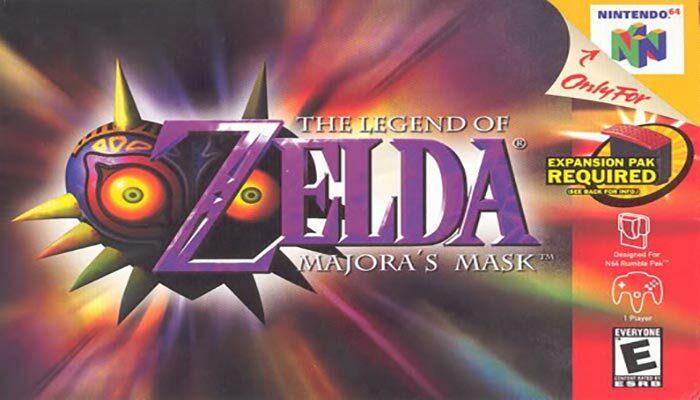 One of the best ever creations of Nintendo was the Action-Adventure marvel The Legend of Zelda: Majora’s Mask. The game was second in the series to use 3D graphics and that time’s advanced mechanics. Released back in 2000, The Legend of Zelda: Majora’s Mask was a great game to play on Nintendo 64. To some fans, the game was almost a clone of Ocarina of time, but the required expansion pack disappointed a whole lot of them as well. However, what the game offered was enough to make it one of the best N64 games of the time. 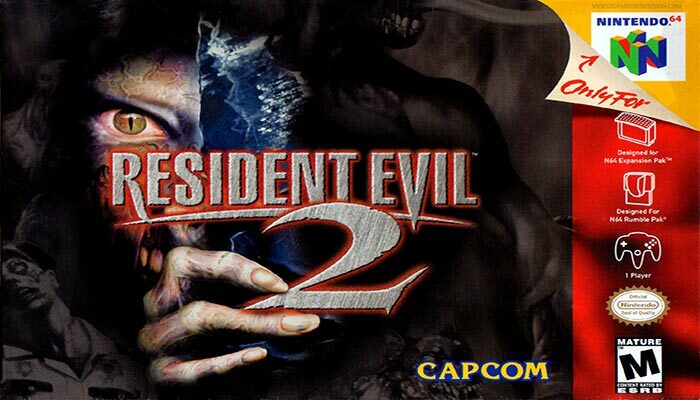 Resident Evil 2 remained a massive hit on PlayStation and because of the huge demand, the game finally ported to the N64 in 1999. On N64 the game was launched with few new features such as randomized item placement, new documents, enhanced lore, and various cosmetic options. It was cited as series best title and that is why this game is still popular among the N64 and Resident Evil series fans. 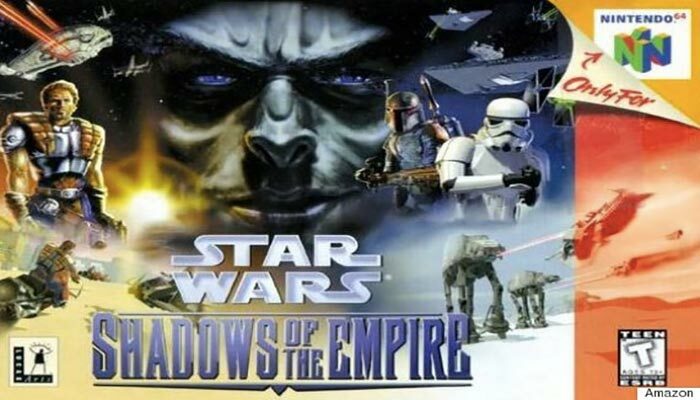 Who wouldn’t like a Star Wars game with tons of new content and a new hero Dash Rendar? Though, it was a disappointment for fans who picked it up thinking they would play as Luke Skywalker. Instead, the game was focused at Dash Rendar, a Han Solo level badass character. Players were to control Dash Rendar and help Luke to free Princess Leia from Prince Xizor. The game’s backstory kept the fans in between the events of The Empire Strikes Back and Return of the Jedi. Based on game’s story, amount of content and great scenarios, it was one of the best N64 game to play. This impressive title came from a top-notch developer named as Sucker Punch Studios. The game was a highly 3D visual based platformer with simple design and graphics. The developer focused more on game’s interactivity instead of swirling it around the main character. 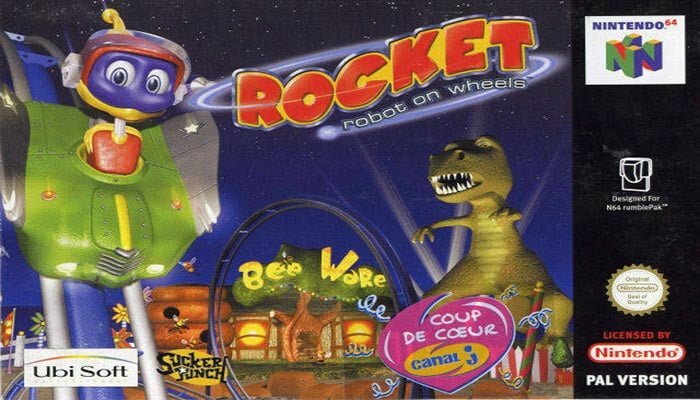 With an advanced physics engine, the ability to travel and experiment, beautiful game world and environments, Rocket: Robot on Wheels was a fun game to land in the N64 games library. 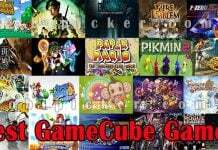 All the above-mentioned titles are some of the best N64 games that ranked all-time high. We’ve gathered them all on our list according to their user ratings, popularity, and rankings on the global basis. Hopefully, you’ll like them all. If you think we have missed out on another amazing title that must be part of this list, do let us know about it. We’ll be happy to have your feedback.